The tag 'LBJ' is associated with 22 posts. When interviewed by the Warren Commission, Jack Ruby indicated that he had been part of a conspiracy to kill Kennedy and that he feared for his life. The Warren Commission turned a deaf ear to his desire to go to Washington and “spill the beans.” Gerald Ford (who succeeded Nixon as President and pardoned him of all crimes committed), Leon Jaworski (a Warren Commission counsel who was a director of a CIA domestic funding conduit and who was selected by Nixon to be Watergate Special Prosecutor) and Arlen Specter (another Warren Commission counsel who was Nixon’s first choice as his personal defense attorney in the Watergate affair) were present at Ruby’s de facto confession. It is interesting to contemplate the text of a letter that Jack Ruby smuggled out of prison. In the letter, Ruby hints that Nazis and Japanese fascists participated in the assassination of President Kennedy. Certainly, elements of what were to become the World Anti-Communist League (including the Asian Peoples Anti-Communist League) were involved. The late investigative reporter and “What’s My Line” panelist Dorothy Kilgallen published Ruby’s Warren Commission Testimony and had told associates she would “break this case wide open.” Shortly afterward, she was found dead of alcohol and barbiturate poisoning–suicide and accidental death have both been put forward as reasons for her demise. Her widower refused public commentary on her death and eventually “committed suicide” himself. We excerpt The Guns of November, Part 2, highlighting Kilgallen’s death. Interestingly and significantly, “What’s My Line” host and moderator John Charles Daly was Earl Warren’s son-in-law, as discussed in FTR #190. Did Daly purposefully or inadvertently convey information to Warren about Kilgallen’s investigation? Was that in any way connected with her death? On the Daly/Warren in-law relationship–note that Daly worked as a White House correspondent and globe-traveling reporter for CBS radio news, a vice-presidency at ABC in charge of news and also headed the Voice of America, which had strong links to the intelligence community. Those journalistic positions, as well as his role as director of VOA may well have brought him into the fold of the intelligence community. 1. The broadcast highlights the controversy surrounding Richard Nixon’s White House tapes. These tape recordings were, ultimately, the vehicle for forcing his exit from the White House. That event was the culmination of the Watergate affair. There was discussion in the fall of 2000 among electronics experts concerning the possibility of utilizing advanced, high-tech equipment to recover material from a famous 18 ½ minute erasure on one of the tapes. 3. Much of the program consists of excerpts from other broadcasts. In an excerpt from G-3, the broadcast highlights a veteran covert intelligence operative and private investigator named Gordon Novel. Among Novel’s many talents is electronic counterintelligence. His name crops up in the context of both the JFK case and the Watergate scandal. Novel was the source for an important piece of information that figured in the Jim Garrison investigation. 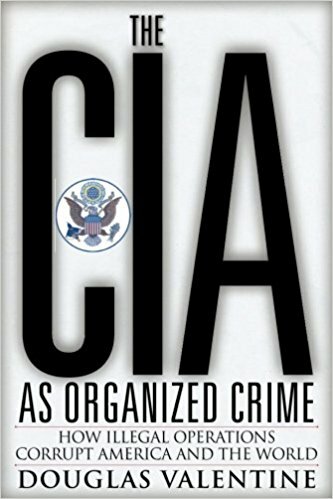 That report concerned a raid on a munitions cache to obtain arms for anti-Castro activities, the CIA’s Bay of Pigs invasion, in particular. 5. Novel’s tangential involvement in the Watergate investigation surfaced in a magazine called Technology Illustrated. In 1983, the magazine ran an article about Novel’s presence at a gathering of veteran covert intelligence operatives, including convicted Watergate burglar G. Gordon Liddy. 6. In a letter to the editor, Mr. Novel took issue to some of the comments about him in the April issue. In 1984, Mr. Emory was a guest on a late-night commercial talk show and Mr. Novel phoned in, taking issue with Mr. Emory’s description of his position in Garrison’s investigation. 10. Intriguingly, Novel added that he was also on the panel of electronics experts that testified that the Dictaphone recording from a Dallas police motorcycle was accurate in its revealing of a fourth shot–which neutralized the single bullet theory. 11. In FTR #190, Novel confirmed his role in the burglary of the Schlumberger facility and maintained that he was involved with a plan to give anti-Castro Cubans [Castro] army uniforms to wear while attacking the U.S. Marines at Guantanamo, thereby triggering a U.S. invasion of Cuba. 12. After Mr. Novel’s death, it emerged that he was serving as a mole in Jim Garrison’s investigation, funneling information to Allen Dulles. With Watergate being bruited about by our media in conjunction with the “investigations” into Trump and “Russia-gate,” we are taking time to dig into the archives and recap information about one of the factors that underlay the Watergate scandal–the Assassination of JFK. Richard Nixon’s political demise came through the Watergate scandal. Nixon initiated the Watergate cover-up because he feared that “the whole Bay of Pigs thing” would come out. In his political memoir The Ends of Power, Nixon aide H.R. Haldeman wrote that the phrase “Bay of Pigs” was a code-word within the Nixon White House for the Kennedy assassination. The program documents many of the areas of overlap between the Watergate and Kennedy investigations. Nixon himself was in Dallas on November 22, 1963, as a lawyer for Pepsico (the parent company of Pepsi Cola.) Flying out of Dallas roughly two hours before Kennedy was slain, Nixon told the FBI in February of 1964 that the only time he had been in Dallas in 1963 had been “two days prior to the assassination.” This blatant lie is negated by a wire service interview Nixon gave in Dallas on November 21. Text of the interview ran in the New York Times and other major newspapers. Watergate Special Prosecutor Leon Jaworski was selected by Nixon to replace the illegally fired Archibald Cox. Jaworski had previously served as a Warren Commission Counsel, while at the same time serving as director of a CIA domestic funding conduit. Nixon named former Warren Commission member Gerald Ford to replace Vice President Agnew. Ford then replaced Nixon as President and pardoned him of all crimes he may have committed. . . .
. . . . The program discusses evidentiary tributaries connecting numerous other figures to the both investigations, including Watergate Judge John Sirica and Watergate burglar Frank Sturgis. To attempt selective erasure of the all-important Watergate tapes, Nixon sought the assistance of Gordon Novel, a veteran intelligence agent, electronics expert, anti-Castro veteran and a figure in Jim Garrison’s investigation in New Orleans. At least one key tape was partially erased (the famous 18 1/2 minute gap), though no culprit was ever identified. In this second broadcast of the series, we draw on Miscellaneous Archive Show M59–Richard Nixon’s Greatest Hits: Highlights of Richard Nixon’s Political Career. In that program (recorded on 5/1/1994), we reviewed an addendum to the original The Guns of November, Part 3. That addendum–recorded in June of 1972 (the 20th anniversary of the original Watergate break-in)–builds on the information from FTR #961. After reviewing information about Nixon’s presence in Dallas, Texas on 11/22/1963, the program presents research by the late Penn Jones that maintains that Nixon and J. Edgar Hoover, among others, were present at a gathering at oilman Clint Muchison’s home the evening before the assassination–a meeting Jones felt was a planning session for the JFK assassination. b) Warren Commission counsel Arlen Specter, the author of the “Magic Bullet Theory”–was Nixon’s first choice as his personal defense attorney in the Watergate case. c) Nixon also attempted to requisition Warren Commission member John J. McCloy as Watergate Special Prosecutor. d) Former Warren Commission counsel Albert Jenner was Nixon’s first choice to serve as the GOP’s minority counsel before the Senate Judiciary Committee. Jenner later withdrew from that position. e) John Dean selected former Warren Commission counsel Charles Shaffer as his attorney. f) White House aide John Ehrlichmann tabbed former Warren Commission counsel Joseph Ball to represent him. g) Nixon’s secretary Rose Marie Woods selected former Warren Commission counsel Charles Rhyne to represent her in a possible investigation of the famous 18 1/2 minute gap in one of the tapes. h) Nixon Treasury Secretary John Connally’s obstruction of Jim Garrison’s extradition request for Sergio Archacha Smith. 1.The Nixon White House’s interest in the assassination attempt on George Wallace, which eliminated the Alabama Governor as a possible third-party threat to Nixon’s so-called “Southern Strategy.” Exactly who shot Wallace remains a mystery, but it was most assuredly NOT Arthur Bremer. 2. Two long-time Nixon friends and political associates’ sponsorship of the family of Sirhan Sirhan into the United States. Sirhan did NOT kill Robert F. Kennedy, however the creation of the false cover story to set up the patsy is important. Nixon, of course, won the 1968 election, after Robert Kennedy’s murder eliminated him as a front runner. 4. A veritable trove of Warren Commission letter and memoranda pertaining to the above figures involved in the Warren Commission and tabbed by the Nixon team for roles in Watergate that were missing from the National Archives. “Richard Nixon’s political demise came through the Watergate scandal. Nixon initiated the Watergate cover-up because he feared that “the whole Bay of Pigs thing” would come out. In his political memoir “The Ends of Power,” Nixon aide H.R. Haldeman wrote that the phrase “Bay of Pigs” was a code-word within the Nixon White House for the Kennedy assassination. . . . . The program discusses evidentiary tributaries connecting numerous other figures to the both investigations, including Watergate Judge John Sirica and Watergate burglar Frank Sturgis (aka Frank Fiorini). To attempt selective erasure of the all-important Watergate tapes, Nixon sought the assistance of Gordon Novel, a veteran intelligencer, electronics expert, anti-Castro veteran and a figure in Jim Garrison’s investigation in New Orleans. At least one key tape was partially erased (the famous 18 1/2 minute gap), though no culprit was ever identified. Mr. Emory’s political odyssey began with investigation of the assassination of President Kennedy. We note the passing of two people who link to the milieu surrounding the investigation. Gaeton Fonzi was a dogged investigator for the House Select Committee on Assassinations. One of many crooked associates of LBJ, Billie Sol Estes was the focal point of some very “interesting” investigations himself.